My first architecture adventures were in designing and building Solar Greenhouses and Passive Solar Homes. Three decades later, my enthusiasm for eco-friendly design continues. Now, I’m also designing renovations for “aging in place.” At this time in my clients’ lives, they’re thinking ahead to a living on a fixed income. There is a wide spectrum of energy saving moves which can add up to substantial savings. They’re interested in how to save money on energy and live comfortably. Both can be achieved! Energy efficient design is an integral part of my design process. When I explore the budget with my clients, I guide the conversation to ways to save money on energy and live comfortably. We’ll examine the heating system for possible upgrades and often choose a high-efficiency gas furnace that will yield benefits immediately in saving money for the owners and will be attractive to future owners. Then we consider other parts of the equation: products that conserve energy. Better LED lighting can save up to $75 a year. Energy Star appliances can save as much as $2,000 of energy over the lifetime of the appliance (compared to an appliance that was made before 1995). You can program smart thermostats to lower the temperature when you’re not home … which can save $300-$400 a year; that’s more than the cost of the unit. My focus today is usually on remodeling design. I recommend upgrading the insulation and making your home as airtight as possible. Those are relatively inexpensive things to do and achieve rather quick paybacks. This strategy usually involves adding an additional layer of insulation around the outside of a home and triple glazed windows and doors for maximum comfort and energy savings. This is especially attractive if the siding needs to be replaced. New windows and doors will save energy and eliminate drafts. When we did this at my house, we got an unexpected benefit. My wife and I realized how much quieter the house became with the new windows. When you use low emissivity (Low-E) double glazed windows, it’s more comfortable to sit by the windows, as the inside surface of the glass stays warmer. Triple glazed windows are even better. 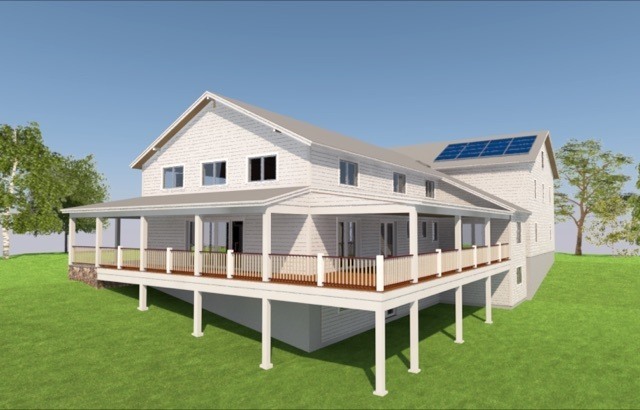 Colin Healy is principal of Colin Healy Design, a residential design firm serving Southern Connecticut specializing in home transformations for aging in place and Net Zero Energy Homes. He brings over 25 years experience to the design of additions and remodeling and provides support and guidance through construction. He reinvents homes to better support the evolving needs and dreams of their owners.